When it comes time to purchase new carpet in Contra Costa County, including the major cities of Concord, Richmond, Antioch, Walnut Creek, and Pittsburg, you can browse through a large selection of brands and styles of new carpet by going to your local Contra Costa County carpet showroom. A large selection of brands and styles of carpet can be found with the help of knowledgeable sales representatives who will be able to help you make an informed decision that’s just right for you and your home or business. Carpet has become more financially accessible than ever. In order to get the most value for your dollar, visit a local, Diamond certified carpet showroom and check out popular brands and types of new carpet. Selecting the carpet that is just right for your home or business can seem like a daunting task. You have so many things to consider, including installation, care, maintenance, and the different characteristics of your home or business. The best advise you can follow when searching for new carpet is to visit a Diamond certified carpet showroom where the sales staff is specially trained to listen to your ideas and help you make the right selection from the vast selection of carpet options available. 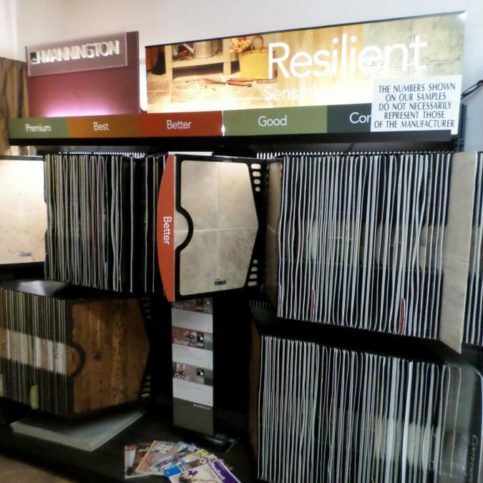 To get the most from your carpet showroom visit, take note of the following advice so that you are prepared for your carpet showroom visit and know what to expect when you get there. 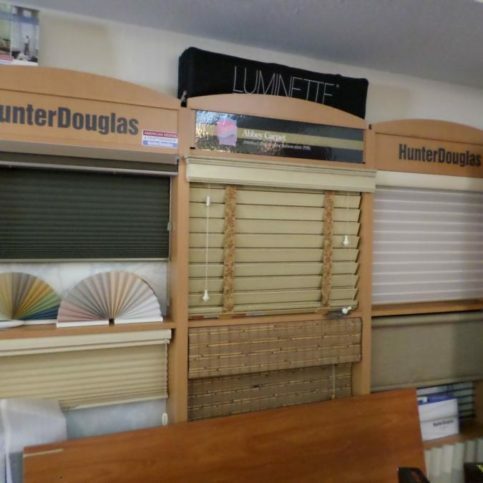 First of all, you want to be prepared to communicate effectively your ideas to the showroom representative. In order to do this, you may want to consider taking photographs of the areas that need carpet as well as photographs of any adjoining rooms or furnishings. These photographs will let the designer know a lot regarding your personal style and existing decor. Furthermore, it is a good idea to bring in actual samples of your color scheme. These examples could include a piece of fabric, a piece of a broken tile, or even a paint swatch. The second step is to figure out the coverage area of your carpet renovation. You may want to draw a quick diagram and mark the measurements of the space on the drawing itself. Thirdly, you will want to decide on a budget for your carpet project. This will allow the sales representative at the carpet showroom to consider the area you need carpet with your budget in order to show you the carpet options that will fit within your price range. 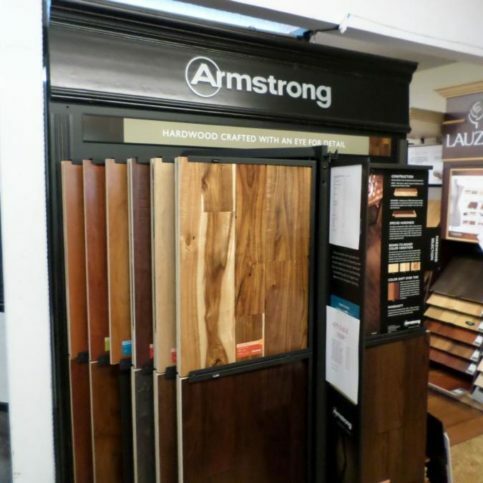 All quality carpet showrooms will have budget-friendly products. If you are unsure what type of carpet will best suit your needs, you may want to spend some time researching ideas. Browse through some online websites or home improvement magazines at a local bookstore. Gather some pictures that you like and bring them to the carpet showroom. Even if you have a particular carpet style in mind, you are likely to discover a new idea or design that you could tweak into something even more satisfactory. Though setting up an appointment at a carpet showroom is not necessary, you may want to call ahead and let them know that you are coming. Once there, a carpet showroom sales assistant will be glad to help you. Show them your ideas, photographs, magazine clippings, and measurements. Be sure to share your budget with them as well. This will help you to effectively communicate your goals for your renovation project. 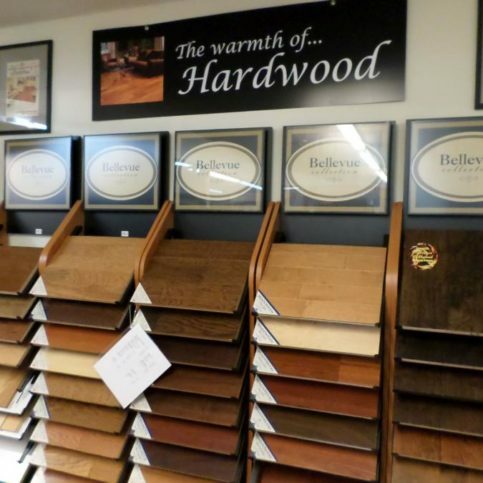 It will also help the salesperson select the appropriate carpet options for you. 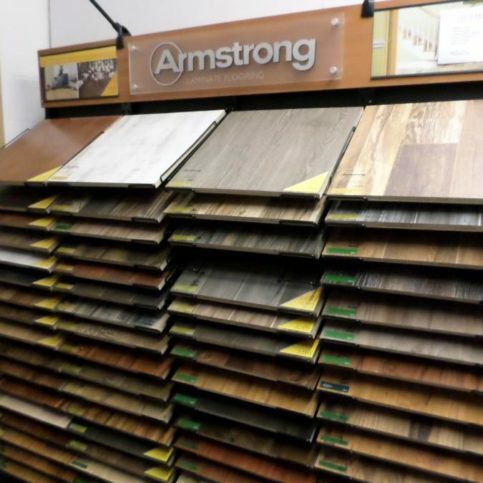 When you are speaking to the carpet showroom sales representative, be sure to ask if your products of choice are stocked locally, domestically, or overseas. This will allow you to know whether or not your carpet of choice will be able to be installed in your time frame. Also remember to ask about care and maintenance requirements for your carpet of choice. While some carpet is easy to maintain and clean, other carpet options may require special care. Don’t forget to inquire about whether your carpet of choice requires special installation techniques or materials. If it is necessary for you to return to the carpet showroom, try to set up an appointment with the same carpet showroom salesperson. This will save you time and energy and allow you to get your carpet project completed in a more timely fashion. Fiber types determine how durable the carpet will be. Typically, the type of fiber determines the price of the carpet. The common fiber types are nylon, polyester, wool, acrylic, olefin, and blends. Weight shows how many fibers are present. The more fibers, the heavier the carpet. Fiber construction also determines how durable the carpet will be. Bulked continuous filament (BCF), staple construction, twist, heating setting, and tufting are all part of fiber construction that enhance the quality of the carpet. Density is an important factor because it shows how many fibers are used in the pile. It also shows how close the fibers are tufted together. The denser the carpet, the better the quality. If you run your fingers through the carpet and find it difficult to feel the backing, the carpet is dense. Why Trust Diamond Certified Carpet Showrooms Rated Highest in Quality? 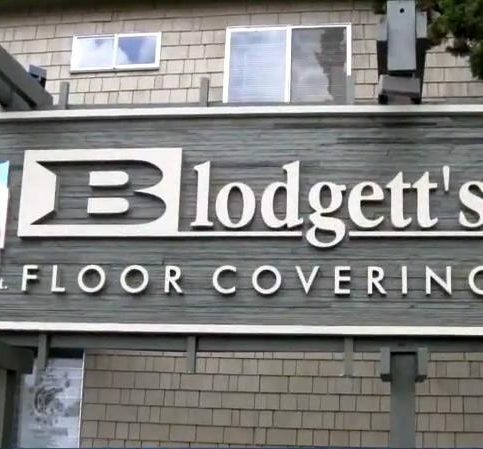 Larry Blodgett is a 26-year veteran of the flooring industry and owner of Blodgett’s Abbey Carpet & Flooring, a Diamond Certified company since 2009. He can be reached at (925) 335-6958 or by email. A: A ’74 Ford Ranchero. A: A ’68 Pontiac Firebird convertible. Actually, one of my bucket list items is to drive a classic convertible down Route 66. A: Classic country, like Merle Haggard and Johnny Cash. 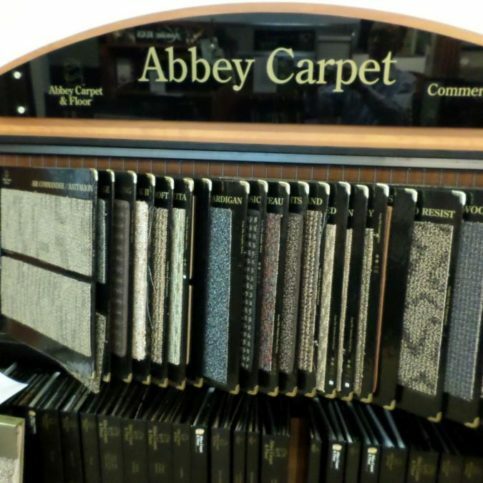 Many factors should be considered before selecting a carpet showroom in Contra Costa County, including the smaller cities of Alamo, Crockett, Diablo, Los Medanos, Port Chicago, Rodeo, Vine Hill, and West Pittsburg, that will meet your needs the most successfully. Write down everything that you’re searching for before you begin your research. Consider the following questions before making your final selection of a carpet showroom. What color of carpet do I prefer? Is the carpet going to be installed in a high traffic area? Are there any particular fabrics or existing decor to be matched? Do I want a plain carpet, patterned carpet, one with texture or a border? How long do I reasonably expect my new carpet to last? What type of carpet am I most interested in for my renovation project? The next step is to interview carpet showroom representatives in Contra Costa County, including the larger cities of Concord, Richmond, Antioch, Walnut Creek, and Pittsburg. Questions you may want to ask include the following. Does your carpet showroom have any references that I may contact? How long should it take for a carpet showroom contractor to complete my new carpet installation? Does your carpet showroom carry workers’ compensation and liability insurance for your carpet installation crew? What types of warranties and guarantees are available on your carpet options? What is covered with any offered warranties? How many carpet projects has your carpet showroom completed in Contra Costa County? How does your carpet showroom price new carpet and installation, if installation is an option? Does your carpet showroom have any carpet swatches, carpet remnants, or carpet samples that I can take home to compare? Does your carpet showroom have a current business license to sell new carpet? What type of underflooring or underlayment will be needed for my carpet of choice? Is there an additional charge for the removal and disposal of the current flooring? Once the new carpet has been installed, will the installation assist in the process of putting the room back in order with furniture, etc.? Who is responsible for moving the furniture or appliances that are currently in the room that needs new carpet? It’s best to choose a Diamond Certified carpet showroom because all certified companies have passed an in-depth ratings process that most other companies can’t pass. If you want quality from a carpet showroom in Contra Costa County and the greater Bay Area, you can have confidence choosing a Diamond Certified company. Diamond Certified reports are available online for all certified companies. And you’ll never be fooled by fake reviews. That’s because all research is performed in live telephone interviews of actual customers. If you can’t find a Diamond Certified carpet showroom within reach, you’ll have to do some research on your own. If you do, it’s wise to call some references provided by your carpet showroom. Keep in mind, though, that references provided to you by the carpet showroom are not equal in value to the large random sample of customers surveyed during the Diamond Certified ratings process. That’s because references given to customers from companies are cherry-picked instead of randomly selected from all their customers. So the contractors will likely give you a few customers to call that they know are satisfied. Were you satisfied with the service from the (carpet showroom name)? 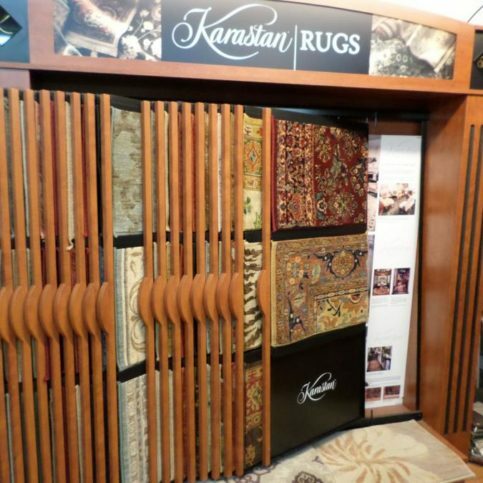 Would you recommend this carpet showroom to your family and friends? Did the carpet showroom install your purchased carpet? If so, did they finish the job on time? Did they clean up after completing the job? Did they show up on time? How many carpeting projects or new carpet installations has your carpet showroom completed in Contra Costa County? If you need new carpet in the future, will you consider going back to this carpet showroom again? What type of carpet did you purchase from this carpet showroom? Your choice of a carpet showroom is important to you and your family. So before deciding on the best carpet showroom in Contra Costa County for you, it’s important to consider the following questions. What is my time frame for this project: when do need to have it accomplished? Which carpet showroom has payment options that work the best with my financial situation? Is my carpet showroom of choice well-established in the community with a good reputation? Does my carpet showroom of choice have good references that I have checked? Is my carpet showroom of choice charging a reasonable price for quality carpet and service? Which carpet showrooms in Contra Costa County, , including the larger cities of San Ramon, Danville, Brentwood, Martinez, and Pleasant Hill, offer the better warranty for the price? Now that you’ve located a local carpet showroom in Contra Costa County, including the smaller cities of Bethel Island, Blackhawk, Canyon, Hercules, Port Costa, Tara Hills, and Walnut Heights, that meets all your ideals, it’s the perfect time to ask for a written contract. This contract should include written details on the price, quality and materials to be used, as well as the job start date and intended completion date. When signing the contract, don’t hesitate to write in special requests or verbal agreements. This will protect you and help ensure you get the services you have agreed on. Along with end dates and any special instructions, these add-ons may also include related issues that aren’t always covered by a standard contract. For example, regardless of how careful your contractor promises to be, sometimes damage can unexpectedly occur when installing carpet. But you can protect your property by being proactive. Before the work begins, schedule a walk through with the company supervisor and conduct a pre-work inspection of your property. List or photograph your home or business and the areas surrounding where the carpet will be installed. Speak with a company representative about reasonable expectations for protecting your home or business during the work. When you’ve reached an agreement, both you and the contractor should sign and date the document. When the work is done, do a final inspection together and verify that your expectations were met. When you’re happy with the information your Contra Costa County carpet showroom has given you, sign the estimate and service agreement. Verify that the carpet showroom representative has a phone number where they can reach you at all times. If the actual costs exceed the amount agreed upon on your estimate, make sure that the carpet showroom representative gets your final approval before moving ahead with installing the carpet. Your approval must be noted on the estimate and the invoice. Professional carpet installers in Contra Costa County, including the larger cities of San Ramon, Danville, Brentwood, Martinez, and Pleasant Hill, are able to handle the large and small aspects of their work. But there are a few things you can do in preparation to their arrival and while the work is in progress to help their job go more smoothly. You may even cut down on billable hours or the possibility of damage to your home and belongings. Remove furniture and movable items from the workspace. Before the work begins, remove all furniture, decorations, rugs, and movable objects from the rooms slated for carpet. You may also want to temporarily store any heirlooms or expensive items that are in high-traffic areas of your home to prevent them from being broken. Provide adequate clearance and parking space for work trucks. Some carpet contractors have large work trucks that require more clearance or parking space than average vehicles. Contact the carpet showroom before the scheduled start date and ask them how many work vehicles will need parking space and whether the vehicles are oversized. You may find it helpful to walk through the site with your contractor ahead of time so they can point out any potential clearance issues or possible hazards you can move or minimize before the installation begins. Keep children and pets away from the carpet areas. Your contractors will be focused on the work at hand and shouldn’t have to watch out for children and pets before, during or after the work. Cordon off any rooms that are to be carpeted and keep pets and kids away from those rooms until after the work is done. This will prevent accidents and injury. It’s the carpet showroom company’s responsibility to sell and install quality carpet using the best possible carpet and installation techniques. But you play a big part in the success of your carpet showroom, too. Here are a few simple steps you can take to be a good customer when hiring a Contra Costa County carpet showroom. Before you hire a carpet showroom in Contra Costa County, restate your expectations and goals, and reiterate to the carpet showroom representative your understanding of the agreement. Most problems with local carpet showrooms occur because of a breakdown in communication. By being clear about your expectations and theirs, you can avoid most conflicts. Ask your carpet showroom company if you should call to check on the progress or if he will call you with updates. Be sure your service representative has a phone number where they can reach you at all times while they’re installing your carpet. The work will move along more smoothly if your carpet showroom company can reach you for any necessary updates, questions or work authorizations. Be clear and upfront with the carpet showroom representative. Let them know what you want from your carpet company, the long-term outcome you’re expecting and specific ways they can satisfy your expectations. When your contractor contacts you, return calls promptly to keep the carpet company on schedule. Pay for the carpet showroom company work promptly. Why would you want to be a good customer? 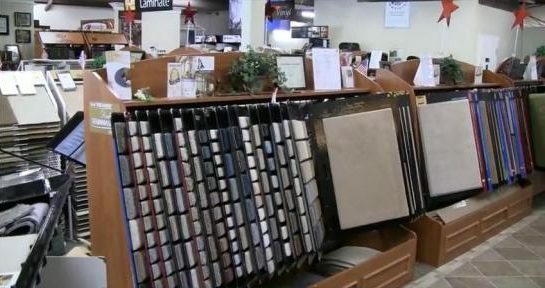 Carpet showrooms in Contra Costa County, including the larger cities of Concord, Richmond, Antioch, Walnut Creek, and Pittsburg, appreciate customers who are straightforward, honest and easy to work with. Your good customer behavior sets the tone from your end and creates an environment conducive to a good relationship. Things may very well go smoother and any problems may be more easily resolved. What the warranty covers. This should include whether the carpet showroom will replace or repair faulty carpet or give you a refund. Any exclusions must be explicitly stated. Your responsibility in the case of a carpet problem and what you need to do in order to redeem the warranty. If the carpet warranty coverage is transferrable to the new owner in the event that you sell the home or building in which the new carpet has been installed. Carpet showrooms in Contra Costa County, including the larger cities of San Ramon, Danville, Brentwood, Martinez, and Pleasant Hill, provide all types of carpet. Following is a list of the most popular carpet available. Saxonies consist of two or more fibers tightly twisted in a yard, cut piled, and then heatset straight. Saxonies provide a soft texture for both formal and informal areas. They show every vacuum cleaner mark and foot print. Saxonies have medium durability. The best-selling carpets, texture and textured saxonies work well in informal areas such as bedrooms and family rooms. It has a soft feel due to its tightly twisted texture. It is heatset for medium durability. Its multi-colored look disguises tracks and footprints. Velvets/Plushes are uniform in color and lightly twisted. They are more level and softer than textures. Because of its luxurious appearance, velvets/plushes are ideal for formal areas such as living rooms and master bedrooms. They show every footprint and vacuum cleaner mark. Cut pile carpet is the most popular type of carpet. Cut pile carpet is textured cut pile that has cutting looped carpet fibers at the top, creating cut pile with yarn bundles standing straight. A luxurious appearance is created by preshearing cut pile several times. Cut pile is the most resistant carpet to crushing. Suited for high traffic, informal areas, frieze carpet is a highly twisted cut pile carpet. Because it has short fibers that tend to curl in different directions at the surface, frieze hides footprints and vacuum marks. Cut and loop pile carpet is a combination of cut pile and looped fibers. Its variety of surface textures and sculptured effects provides medium durability. Cut and loop pile carpet is available in multiple and solid colors. The different levels within the carpet hide footprints and dirt in both formal and informal areas. Because berber carpet limits footprints and vacuum tracks in informal areas, it is increasing in popularity. Berber carpet has thicker yarns than any other level loop pile carpet, making it highly durable. These loops retain dirt and can be damaged from snags. Berber carpet comes in expensive wool fibers as well as less expensive nylon, nylon-olefin, or olefin fibers. Multi-level loop pile carpet varies in its loop pile height. It usually has two to three different loop heights, creating an appearance of random texture. Multi-level loop pile carpet is good for high traffic areas; however, the smaller loops can hold more dirt at times. Level loop pile carpet is created by weaving even loops of yarn into the carpet backing at both ends. It is a very durable type of carpet and resistant to tracks because of its strong loops. Higher loops in the carpet create a more luxurious effect. The level loop pile carpets with short and densely packed loops are easy to clean because they prevent dirt from filtering into the carpet. Level loop pile carpet is ideal for high traffic areas. Many brands are on the market for carpet. Following is a list of popular carpet brands that have had great success and have a good reputation. Acrylic is not a widely used fiber but it does provide the look and feel of wool based carpets without the expense. It is resistant to mold and mildew. Area rugs are rugs used for small areas of the home or business. An area rug may be used as an accent for decor or to protect hardwood floors among other uses. Backcoating refers to the process of applying an adhesive-type substance to the back of a fabric for the purpose of locking yarn tufts into a carpet backing. This process increases the stiffness of the fabric. Berber carpet is a modern style of carpet that has a loop pile construction. Most berber carpets a a plain color mix with no pattern. They are a more inexpensive form of carpeting and have a high durability which makes berber carpet a good choice for relatively heavy traffic areas. Blends of fibers are used to improve the overall quality of carpet in durability, feel, and look. Olefin and nylon as well as wool and nylon are the most commonly used blends. Bulked continuous filament (BCF) is yarn made from one strand of fiber. In order to add to the bulk of the carpet and make the twist more permanent, texture is added to the yarn. This increases durability and the life of the carpet. A carpet pad is placed underneath the carpet when installed and enhances the durability and performance of the carpet. Carpet rugs are rugs made out of carpet. Most carpet rugs are used as area rugs as protection or decor. Commercial carpet is specially made carpet that is good for high traffic work areas. Made from loop pile, commercial carpets are highly durable and resistant to stain. Commercial carpet tiles are long lasting, environmentally friendly tiles of carpet that are often used in offices, homes, and retail businesses. Easy to install, they do not require glue and can often be installed without a professional. Frieze carpet is a type of cut pile carpet made from twisted fibers. Because the fibers are curled, they hide dirt and stains well. Frieze carpet is recommended for high traffic areas. It comes in a variety of colors and patterns. Green carpet is carpet that improves the indoor air quality by emitting low chemical emissions of VOCs from the carpet and adhesive products. Heat setting locks in the twist when the carpet is being constructed in order to keep it from unraveling. This strengthens the carpet overall. Home carpet is a reference to carpet for the home. Carpet comes in many different colors, styles, grades and types in order to fit any decor or need. Hospitality carpet is carpet designed for motels, hotels, corporate offices, health care facilities, and other public venues. Hotel carpeting is hospitality carpet that is a highly durable carpet designed for public venues. Nylon is the most popular fiber type used for carpeting. Nylon can be found in about 60% of all carpets sold in America. A highly durable fiber, nylon is resistant to wear and tear. Olefin carpet is ideal for outdoor carpeting because it is resistant to mold and mildew. Though it is not comfortable carpet to walk on with bare feet, it is less likely to fade. It is also highly resistant to wear and tear. Outdoor carpeting is easy to clean, fade and stain resistant, and made from UV-resistant olefin fibers. It is a highly durable carpet and good for high traffic areas that are fully exposed to weather. Patterned carpet is carpet with a pattern that hides spills, spots, and wear. Even a subtle pattern will help to conceal blemishes. Patterned carpet adds detail to a room and brings character and complexity to the overall design. Polyester carpet is increasingly popular because it is cost effective. It is not preferable for highly trafficked areas because it shows damage, fades, and is not resilient. It does have a soft feel when used with a thick cut-pile construction. A popular flooring trend is carpet made from post-recycled consumer goods. Carpet can be manufactured from several different products that include plastic bottles, recycled textiles, and discarded carpeting. Recycled carpet is even being offered by big name manufacturers who are quickly jumping on the “go green” bandwagon. Modern shag carpeting is different than the shag carpeting that was popular in the 1970’s. Today’s char carpet features shorter pile heights, a variety of color choices, and modern carpet technologies that improves performance, durability, and eliminates wear patterns. Sisal carpet is carpet made from sisal fiber-a stiff fiber produced from the agave plant. Agave yields a stiff fiber that is traditionally used for making twine and rope. Stain resistant carpeting is carpet that is resistant to stains. Stain resistant carpeting is a highly durable carpet that is often used in high traffic areas. Staple construction is fibers made into short pieces of yarn. Staple construction causes the carpet to shed. Tufting is the final step in the production of carpet. The fibers are pushed through needles and then tufted to the backing. This step determines how dense the carpet is. In order to strengthen the carpet, carpet fibers are twisted around additional fiber. This process makes the carpet more resistant to wear, matting, and texture changes. Wool carpet is the most expensive fiber in carpet. This is because it is the only natural fiber used in the production of carpet. Wool carpet is highly durable. Though it is stain and dirt resistant, it will fade easily in direct sunlight. Q: Why choose a Diamond Certified carpet showroom? 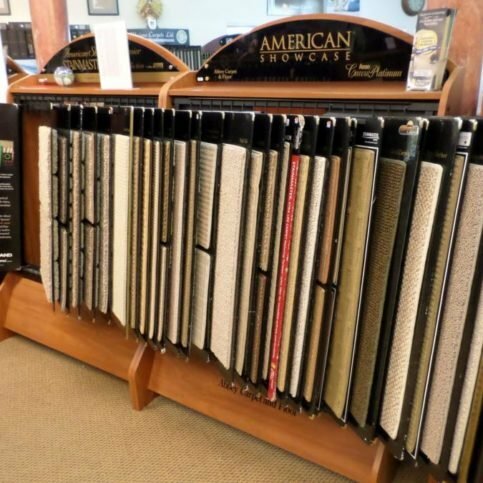 A: Diamond Certified helps you choose a carpet showroom with confidence by offering a list of top-rated local companies who have passed the country’s most in-depth rating process. Only carpet showrooms rated Highest in Quality earn the prestigious Diamond Certified award. Most companies can’t pass the ratings. American Ratings Corporation also monitors every Diamond Certified company with ongoing research and ratings. And your purchase is backed by the Diamond Certified Performance Guarantee. So you’ll feel confident choosing a Diamond Certified carpet showroom. Q: What is twist in reference to new carpeting? A: Almost all carpets have twisted yarns, and twist is the number of turns put into the carpet yarn or fiber. Typically, the more twists on a fiber, the better quality of the carpet. Q: Does a rating system insure that I get the right carpet? A: A rating system is developed by the manufacturer itself as a means of evaluating its own products based on a set of standards and testing methods. These rating systems can’t be compared across manufacturers since they are based on the opinions of people rather than strict testing methods. Q: If I know the weight or other technical specifications, can I compare products? A: Technical specifications of a product can give you a guide but many factors can alter the comparison. For example two carpets may have the same specifications, but if they are made from different fibers, they will perform, look and feel differently. Q: If I bend the carpet and can see the backing, does this mean that the carpet is low quality? A: No. All carpets, with the exception of woven carpets, are made with spaces between the tufts. In order to feel the thickness or density of different carpets, stick your fingers in the pile on a flat surface. The thicker, tighter, denser carpets will perform better, as a general rule. Q: I’ve heard that I can save money by buying an unbranded yarn rather than a branded yarn. Is it true that you get the same thing but you don’t pay extra for the brand name? A: As a general rule, similar products with unbranded yarns can be cheaper, but that doesn’t mean you get the same thing. Branded fibers are manufactured to strict standards set by the company. Branded fibers also often give extended warranties backed by both the fiber company and the carpet manufacturer. Q: Can I save money by buying a less expensive carpet and putting the best cushion under it? A: A good cushion is critical to carpet performance, but you walk directly on the carpet. This means that you will want carpet that is constructed to meet your needs and lifestyle. If a cheaper carpet doesn’t wear well or have the look you want, it won’t satisfy you for the long run. Q: I heard that new carpet can make people sick. Is this true? A: Most carpets are manufactured from harmless materials that are found in clothing and everyday fabrics such as polyester, olefin fibers, and nylon. These materials don’t bother most people. The Carpet and Rug Institute offers Green Label testing and certification to indicate carpet, carpet backings, adhesives, and cushions that emit low VOCs. Q: What kind of carpet should I be looking for? A: Though a knowledgeable sales representative will help guide you through the process of purchasing carpet, it’s important to look for a durable carpet. Durability is dependent on three important factors: type of fiber, yarn twist, and pile density. You should find the right balance of all three. Q: Isn’t the color that I choose for my carpet a totally personal choice? A: Absolutely! But be aware that light colored carpets will show more soil and require more maintenance than darker colors, which are more durable in high-traffic areas. Multi-colored and patterned carpets are also more effective in hiding soil and stains. Q: What are the average costs I can expect? A: Carpet prices vary considerably with quality and style. Typically carpet can cost anywhere from $8 per square yard for basic styles up to $30 per square yard. This does not usually include installation. Q: What about padding? Should I request a better pad? A: A certain level of padding is often included in the quoted installation price of your carpet. You usually have the option to upgrade. Q: Will there have to be a seam in the room? A: Depending on the dimensions of the room, a seam may be required. If there must be a seam, it should run perpendicular to windows. This is for the purpose of minimizing the light that reflects off of it. Q: My carpet looks like it is shedding. Is this normal? A: New cut pile carpet normally sheds some. Vacuuming will easily remove the loose fibers. It should not affect the quality of your carpet, and the shedding should diminish after a few weeks or months. Q: Why are some carpets measured by square yard and others by square foot? A: Measuring carpet by the square foot has become standard, though it used to be measured by the square yard. Other floor coverings such as hardwood and ceramic tile are measured by the square foot as well.